Happy Tuesday... It's Day 2 of the NND September Release and today we are sharing a Fun Halloween set called Creepy Cameos and it's Coordinating Dies. There's also an add on Cameo Frame die. I have a million ideas on how to use this set and that Gorgeous Frame die. For my project today I imagined a Wall with the frames hanging on it. I found some pattern papers in my stash that resembled wallpaper. I created a Black card base and added the pattern paper after I die cut it with a stitched rectangle die. 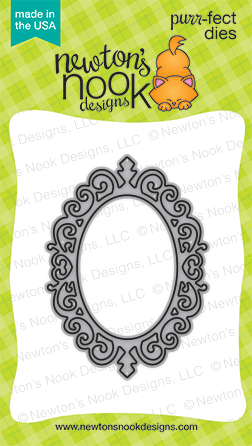 Then I die cut the Cameo Frame from some Black Glimmer paper twice. I created a background on some Bristol card stock with some Twisted Citron Distress Oxide ink and cut it down to fit behind the frames. Then I stamped the silhouettes onto some White card stock and trimmed them out with my scissors to get a closer cut. I adhered them in the frames with some liquid glue. I adhered the frames into the background with some foam tape. I stamped the sentiment onto some White card stock in Black ink and used a die to cut it out. I added some foam tape to the banner as well. This is such a fun set and a Halloween must have!! 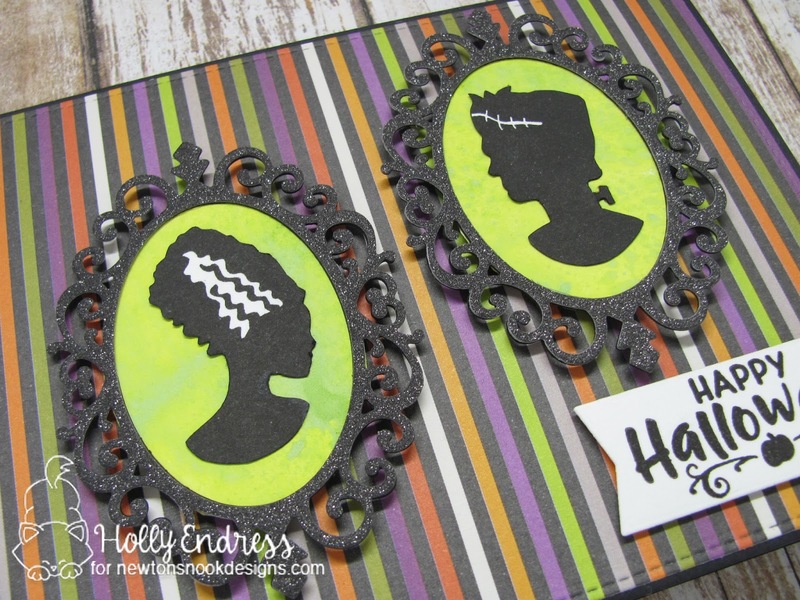 Your wall hanging is wonderful as a Halloween project. Very creative. This is so cute! 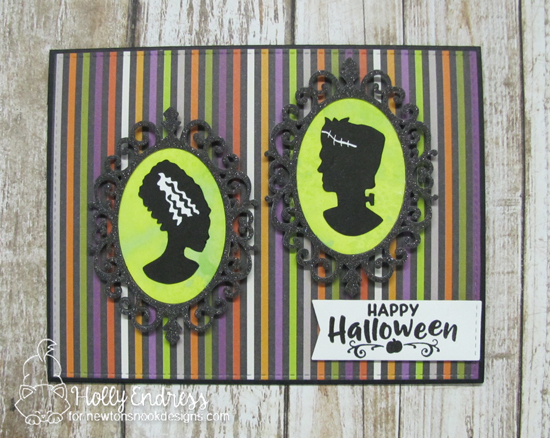 I love this idea and your fun cards too! This card really rocks - the background and colors ust makes the images POP!! Lovely card, great paper to go with these awesome stamps! Awesome card, love this fun set! Great card! Love these fun and spooky cameos! Your card is simply awesome! Great cards, love this new stamp set from NND! I think the frame dies will be a best seller!! I love the way you used dimensional tape to pop them up. I'm partial to the stripes too!!! 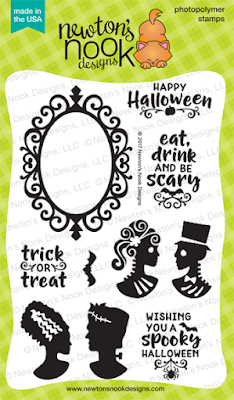 This is a wonderful card for Halloween! So funny!